Lost files? Dropbox has your back. Accidentally delete an important file? Unexpectedly wipe out everything? Rest easy knowing that Dropbox saves all of your lost files for 30 days (or 120 days for Dropbox Business users). 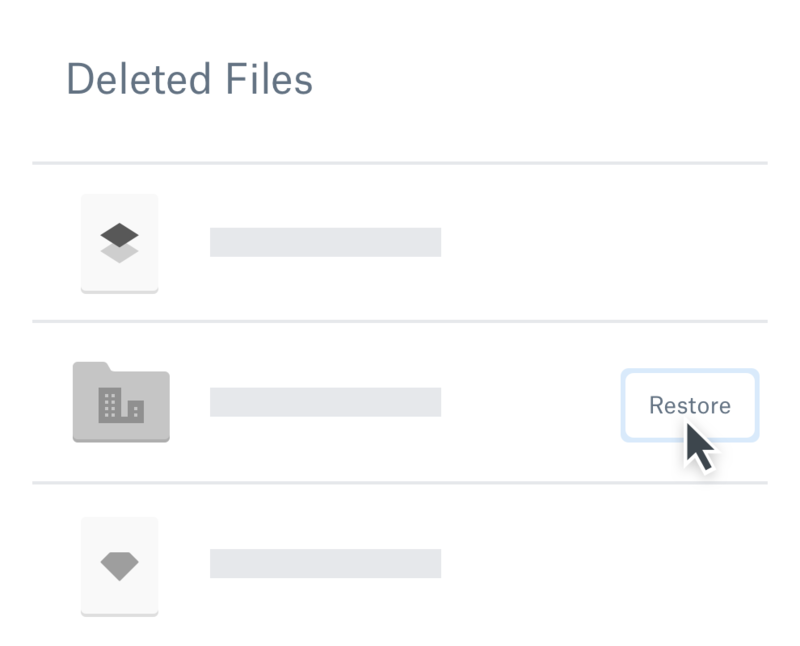 And there’s no need to call support or send an email—you can restore deleted files yourself at dropbox.com. Accidental file changes and deletions happen. With Dropbox, they’re easy to fix—pull up your version history to undo changes and restore old versions of any file. Any time a team member moves or deletes a file in a shared folder, we’ll confirm with them to prevent files from being lost. And if they do accidentally delete or update a file in a shared folder, you’ll receive desktop and email notifications. You can then use file recovery to bring your lost file back to life. Recover your files. Rest easy.